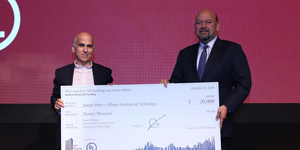 The Council on Tall Buildings and Urban Habitat (CTBUH) is now accepting proposals for its 2019 Student Research Competition – culminating with an award of $20,000 to be recognized at the CTBUH 2019 World Congress to be held in Chicago, from October 28 to November 2, 2019. The goal of the 2019 Student Research Competition is to assist talented students, working in groups under the guidance of a professor, to focus on a relevant research question, and create an engaging output as a response. 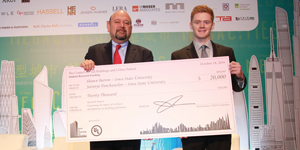 Research proposals should directly relate to the 2019 topic of “Sustainable Tall Buildings and Urban Habitat”. Proposals can come from any topic/discipline. It is up to the students to interpret the theme, and outline how their research will address it, including how the funds will be used to support the intended outcome. In fact, the ultimate objective of this award is to give the chance to students of any discipline to immerse, for the first time, in detailed, academic research, under the guidance of a professor, in a topic that the students are particularly interested and invested in. Proposals (via the online survey, accessed here) are due by Friday May 31, 2019 (12:00 p.m. Chicago time). To express your interest in participating prior to this date, to discuss the suitability of your proposal in more detail, or to ask any questions, please contact: [email protected]. 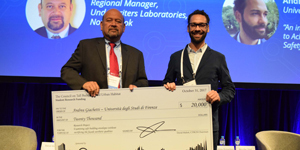 Please Note: The Student Research Competition is open to students under the guidance of a professor, while the CTBUH International Research Seed Funding initiative is aimed specifically at research professionals. It is therefore not possible to submit a proposal to both programs. Full details of the Student Research Competition, including submission requirements, criteria, procedures, etc. can be found in the Award Brief document.